CAMDEN, N.J. — Ben Simmons is set to turn the 76ers into must-see TV. But he hopes to have another smash hit off the court. 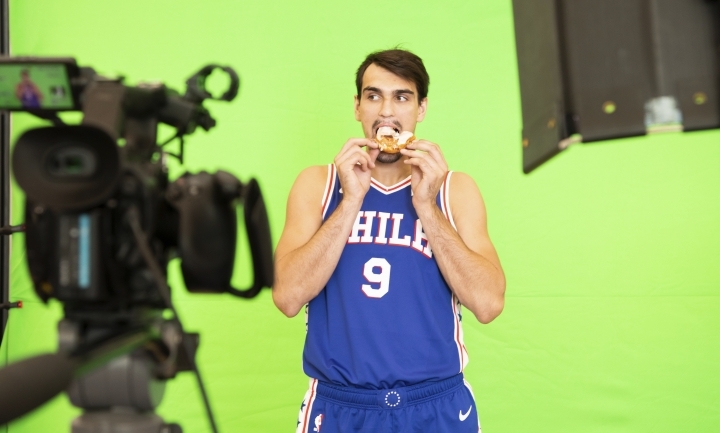 NBC has given a script commitment to "Brotherly Love," loosely based on the life of the Aussie-born NBA rookie of the year. "Brotherly Love is inspired by the life of Ben Simmons and centers on a unique sibling relationship within a multi-ethnic family. Together, they pursue their dreams while navigating life in the spotlight in Philadelphia, a passionate city where sports is in your blood, and your blood is always boiling." Don't touch that dial — well, unless the 76ers are on. "It's just funny because a lot of people probably pitch their lives and think everything should be a TV show," Simmons said Friday. "We brought it to life. (My brother) wrote something up, pitched it to a few different people. NBC loved it and went with it. It's really going to be about our relationship and how things just happen. It's more of a comedy-sitcom type of show. It will be pretty funny. Hopefully, that goes through and works out." Oh, and LeBron James (through SpringHill Entertainment) is listed as an executive producer. The 76ers were shooting for Ben & Bron. The Sixers met with James' representatives just hours before the free-agent signed with the Los Angeles Lakers, the brief flirtation enough to make the organization think they might have a shot at the NBA great. 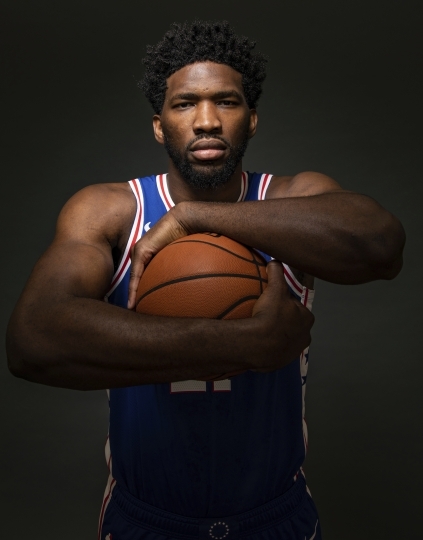 "I feel like he could have been a great piece to add to get us where we need to be," All-Star center Joel Embiid said. So the 76ers will try to win their first NBA title since 1983 without The King. But with Embiid, Simmons and 2017 No. 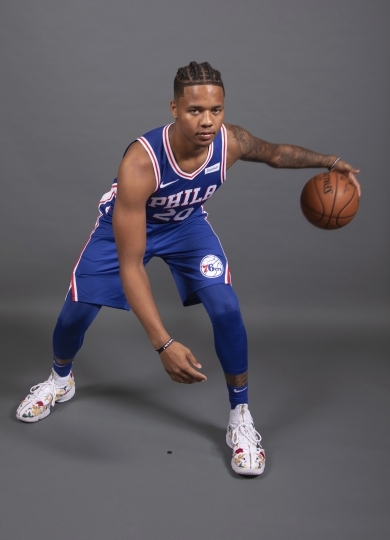 1 NBA draft pick Markelle Fultz aboard, the Sixers believe they can top the 52 wins and a playoff series win from a year ago as they chase a championship. 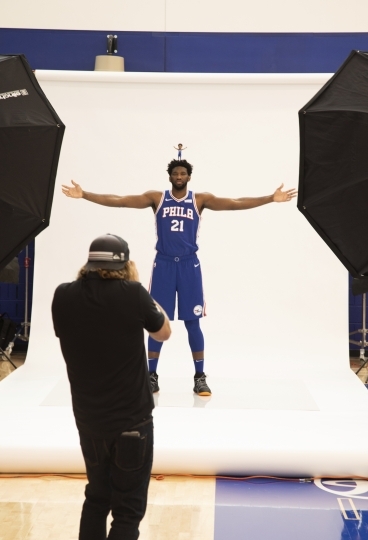 Embiid, speaking at 76ers' media day, said a successful season would be "an appearance in the NBA finals." That's a pretty lofty goal for a franchise that made no meaningful offseason additions and just this week named 39-year-old Elton Brand, who retired only two years ago, as general manager. "I just remember dunking on him really bad," Embiid said. "That's crazy it was two years ago." Coach Brett Brown expected a dominant season out of Embiid (22.9 points, 11 rebounds) and Simmons, whose friendship with Kendall Jenner made TMZ headlines this summer. He spent the offseason working on his jumper. 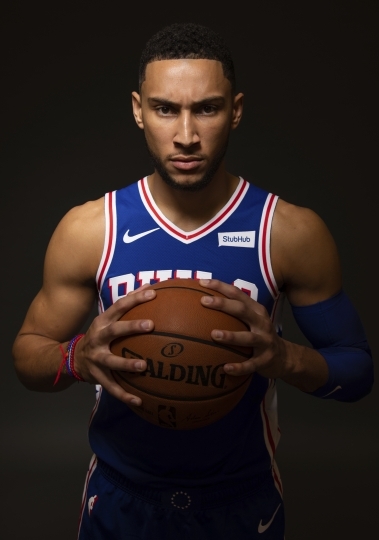 "I've never been on a team where I have to take shots," Simmons said. But the player who can make the most impact as a pseudo-newcomer is Fultz. Bordering on bust territory after just one season, Fultz had his rookie year derailed by a mysterious shoulder injury, a broken shot and confidence issues. He played the first four games, missed 68 games because of the injury and was benched in the playoffs against the Celtics. Fultz struggled with his mechanics when he played, and his shooting form was widely mocked around the NBA. Even his personal trainer, shooting coach Drew Hanlen, said Fultz suffered from the "yips" and "completely forgot how to shoot." The 20-year-old Fultz said Hanlen used a "misterm in words." "What happened last year was the injury, let me get that straight," Fultz said. "It was the injury that happened that didn't allow me to go through a certain path that I need to to shoot the ball. Just like any normal person, when you're used to doing something the same way each and every day and something happens, of course you're going to start thinking about it. It's just normal." Fultz took about 150,000 shots this summer and reworked his form to prove he's ready join Embiid and Simmons on the Big Three. 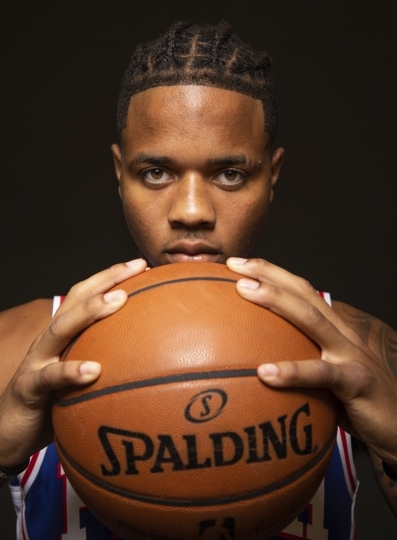 "This summer was really just me working to get my mechanics back, my confidence back, my swagger back," Fultz said. 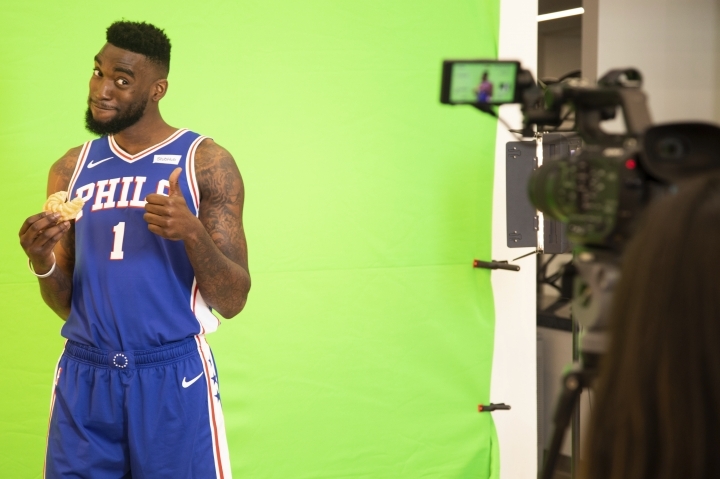 The Sixers need it all — the swagger, the shots, the early success that can propel them toward Eastern Conference contention. The franchise that won just 10 games three seasons ago is now on the cusp of becoming an elite team. "It's going to be a great year," Embiid said.